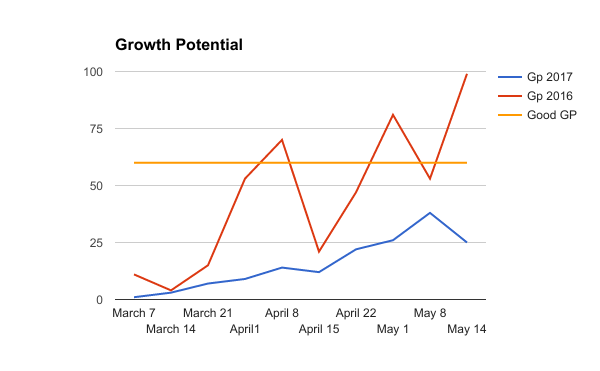 Growth potential was a game changer for me when I first learned about it in 2013. 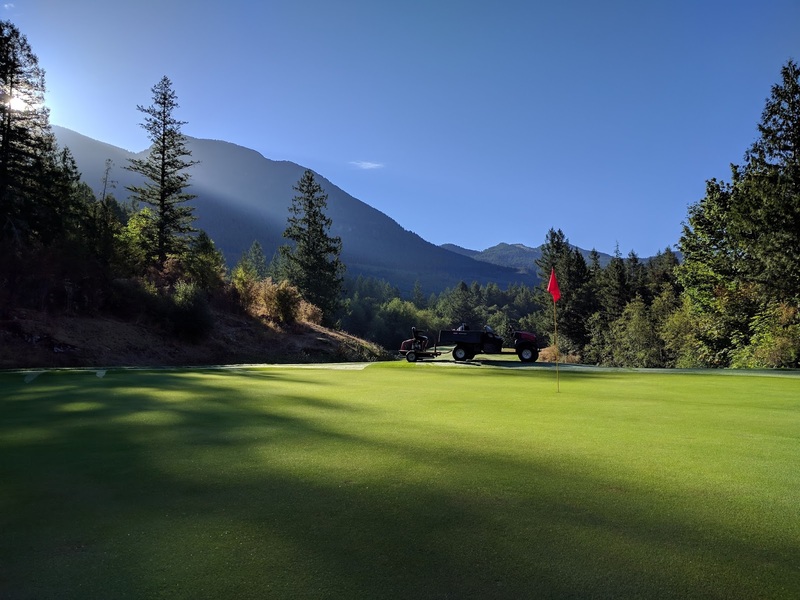 It was the first time that I was able to easily get a general idea of how grass grew in my specific climate and allowed me to fine tune my operation and leave behind the guiding principles of turfgrass management that heavily relied on broad generalizations. Instantly I could customize my plans and make adjustments that would take the weather into account. It wasn't until last winter when we had catastrophic winter damage that I also learned how it could be a valuable tool to communicate with my membership about recovery progress and other maintenance decisions that I make. 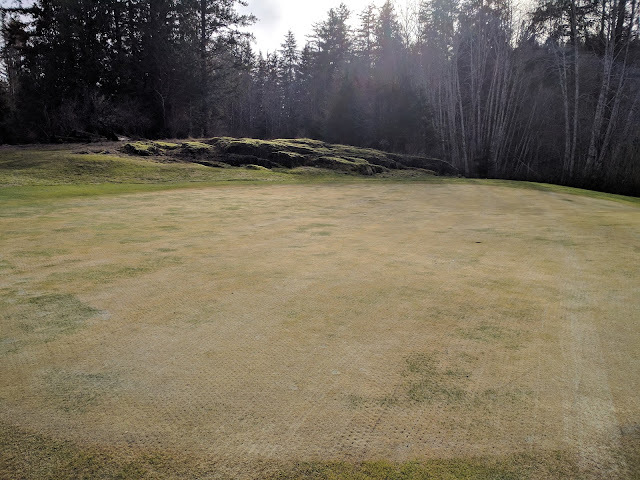 During the recovery process I was trying everything I could to try and speed recovery but as research on the subject would suggest, "it becomes increasingly apparent that timing of spring seeding and air temperatures following seeding are fundamental factors affecting the success of re-establishing putting greens." So while I knew the issues, it was hard to communicate this with the membership in a way that was easy to understand. That was until I looked at how the current growth potential compared to previous year's growth potential and what was considered to be good temperatures for growing grass. I penned this membership blog post and immediately everyone was able to see why we were having issues and exactly what we were doing to remedy the situation. I combined this information with clipping yield data to show that we were in fact getting much higher yields on our recovering greens that on the greens that weren't damaged. Our efforts resulted in growth rates that were 2-8x that of the undamaged greens. Tarps allowed us to increase the growth potential on the worst his spots but only when the sun was shining. 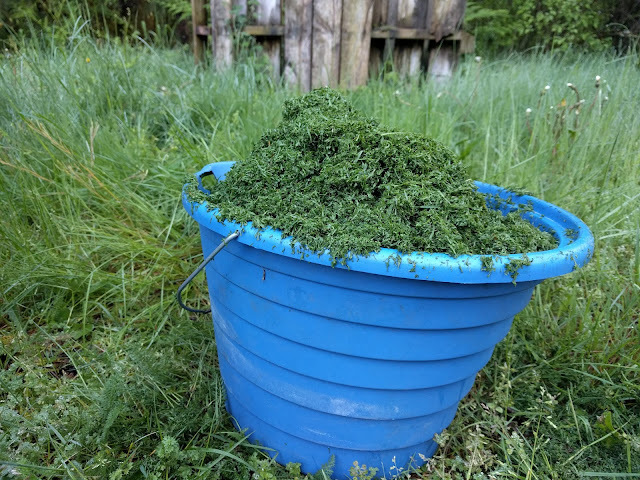 While the growth potential was a valuable communication tool in the difficult spring, it again proved valuable last summer during the intense summer heat. 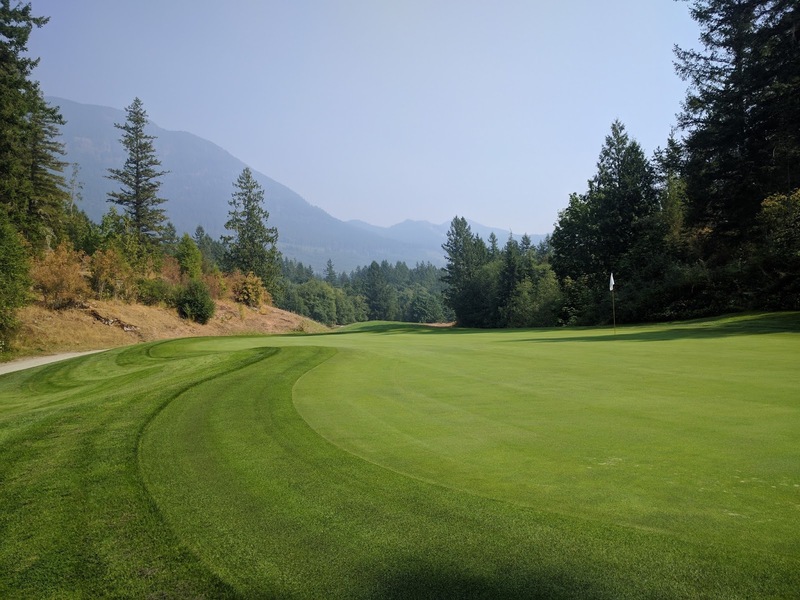 All cool season turf managers know that when the temperatures get too hot we need to back off on stressful maintenance to ensure the grass health doesn't decline. This is because the demand for carbohydrates exceeds the plant's ability to produce those carbohydrates. While it's one thing to know this fact, it's another thing entirely to know exactly when this is happening and communicating to your membership what you are doing about it. Growth potential awareness will allow you to see when you need to take action against summer decline and allows you to take the emotion out of it as you communicate this fact to your membership. Looking at the following table it isn't very easy to see when the difficult growing periods exist because they exist both on the low temperature range as well as the high temperature range. Converting your average temperature to growth potential will show a clear picture of when conditions are optimal for growth and when they aren't. As can be seen on the follow chart, conditions were optimal (above 60% growth potential) for most of the 2017 summer but there were times when the growth potential took big dips. 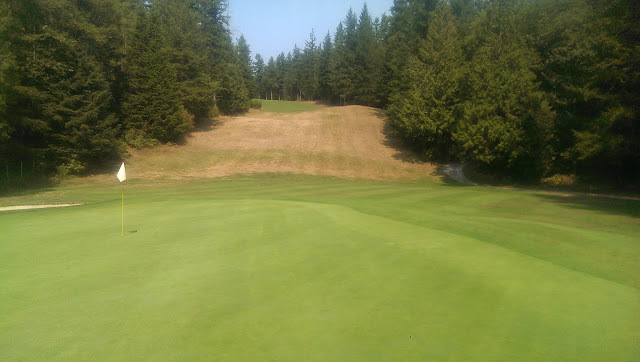 It was during these periods where the growth potential dipped that I was able to back off on stressful maintenance practices and reduce the potential for issues down the road. We all know that when things go bad, they can go bad quickly. That's why I think it's imperative that we identify when these periods are even if they are relatively short and take action to avoid complications. It's one thing to know when to back off but it's another thing to communicate this with the golfing membership or public. Typically, golfers only have access to the temperature data at best and as I have shown, it doesn't paint a very clear picture of the actual growing conditions that you are dealing with. With growth potential data you can easily know when to back off and show your golfers why you are backing off with good data. It takes the emotion out of the decision and allows you to make better, more consistent decisions about managing turfgrass stress on your course while you are mostly likely experiencing the most amount of stress yourself! 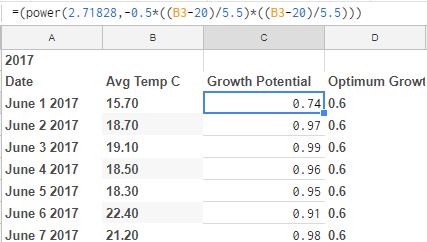 Here's how to easily calculate the growth potential for cool season turf in a spreadsheet. Last summer we saw consistently difficult growing conditions in my area of the world. From winter kill, a slow spring, to an excessively hot and dry summer, we had it all thrown at us. With this data and observation and communication I was able to handle the difficult times with little stress or surprises. My stress levels appreciated it and so did my golfers. 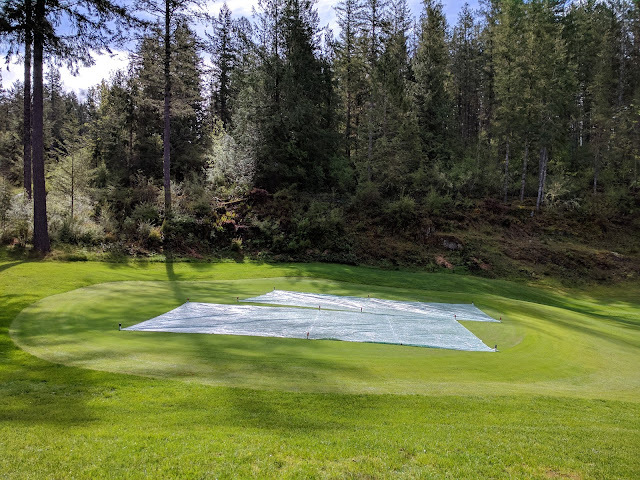 As you can see from the scenic pictures, for the most part we were able to keep turfgrass quality high despite the challenging weather, limited staffing, and chemical and cultural inputs. While it's easy to look back at the data to identify difficult growing conditions you could also use the weekly forecast to determine how difficult the coming week will be and plan accordingly. Maybe instead or in conjunction to posting green speed data, we should also post growth potential data to let golfers know how optimum the weather is for producing the desired conditions we all want.